How have you been this month? Can you believe it is nearly Easter? Where has the month gone? 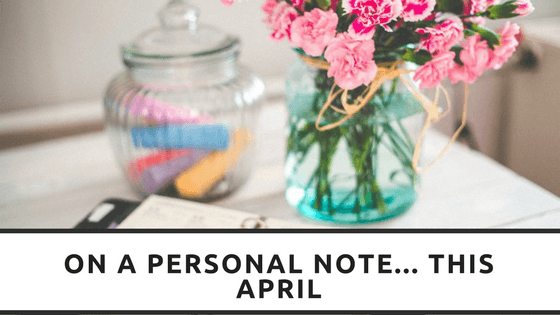 After our last post I have just not stopped, with so much going on in the business and personal life it seems the month has gone in a blink of the eye and suddenly Easter is peaking over the hill. The end of February saw me preparing for some time off and checking the record keeping of many clients and friends who were unsure whether they were safe from the changes of Working Tax Credits. The beginning of March saw me take a few days off to have surgery – a small procedure on my knee to help relieve some persistent pain I have been suffering with for some months now – then diving head first in to a large data project for one of our most exotic clients so far, a lovely fashion house in Malaysia. This month has also seen the introduction of several other businesses to our network including an accountants firm based in Wakefield, AFor Accountants, I am starting to focus more on businesses who want and need a little extra help getting themselves organised for the next financial year. Making sure record keeping is straight forward, simple and exactly what each business needs to keep them running smoothly no matter the industry or their budget. Not just a busy month in business but on a personal front too. With 3 kids in a dance show and needing costumes, several school projects that all required time to create, my surgery and university assignments to improve the skill set I can offer my clients I do not think I have sat still for long at all this month.